- He's a converted QB. We love converted quarterbacks because they tend to fly beneath the recruiting radar. - Cattouse has a big frame (6'3") and is a workout warrior, training with the same guy who works with Luol Deng and other members of the Bulls. Can teach his teammates Pilates. - Overshadowed in HS by All-America RB Robert Hughes, who chose Notre Dame over virtually every program. 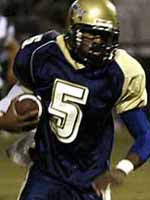 - The Chicago Sun-Times reported that Cattouse is the first Chicagoland football player to attend Cal on a scholarship. I can't think of one off-hand - can anyone? - Played safety his senior year after starting at corner in both his sophomore and junior years. Recorded 61 tackles, 8 interceptions (four returned for TD), 2 forced fumbles and 3 recoveries. - Like Cattouse, Campbell started at QB (and also punted). Projects as a college corner. - Named to the Nevada 4A all-state team as a starting DB. - HS mascot was the "Desert Shields." From all accounts Campbell was a bit of a one-man show for his school, but he still led them to a finish as league runner-up. - Listed as a Bruin commit in this morning's LA Times. All through Conte's de-commit and the run-up to LOI day, Cal coaches were reasonably confident that he would come to Berkeley. - Played both ways for Loyola, but earned highest marks for his work at cornerback. Despite postings that he would definitely switch to safety, he probably projects at corner at the collegiate level (though he could make a fine FS). - Stands 6'3" or 6'4" depending on which report you read, which would make him a good matchup with taller receivers in the conference. - Made a key interception in Loyola's 14-0 upset of Mater Dei in the Division 1 semifinals in 2005. Loyola went on to win the CIF title. - More than a kicker, he led his HS in receiving with a 16.5 yard per catch average. Think of him as a punter in the Ray Guy mold who could also play other positions. No pressure with the Ray Guy comparison, of course. - Is the highest ranked recruit at his position in Cal's entire '07 class (2nd punter in the nation behind Chas Henry (committed to Florida). One thing I've noticed in your comprehensive breakdown of Cal's recruits (which is really astounding, by the way): we seem to be competing primarily with those perennial 2nd-level teams (i.e. non BCS bowl) for recruits, rather than the cream of the crop (Texas, $C, Florida, LSU, etc). This isn't a criticism of the coaching staff at all. 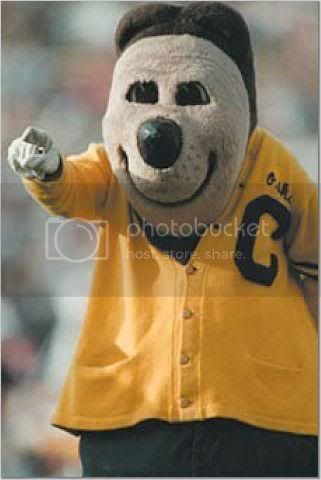 Particularly since I can recall that Cal tended to compete with non-bowl teams for a majority of it's players. I just see it as one more indication of the progress Cal football has made in the last 5 years, and that we have one more step to take. All in all, I am pretty psyched with the guys in this group. And, of course, I have faith in the judgment of the coachin staff. SoCal, I'm not sure I agree. We don't run into LSU or Texas or others too much because we do relatively little out-of-state recruiting (at least, historically). This year's a bit of an aberration with nine recruits from outside CA. Also, what is a 1st-level team beyond the schools you listed? Other teams to make BCS bowls this year include ND (Best, Summers-Gavin), Louisville (Cook), and Boise State (Anger, Smith, Lagemann). The list of who's an elite program is always changing. Yeah, I agree tightwad. You don't just immediately start recruiting for 5 star recruits and with the likes of TX, FL, and SC. That said, we have started to and we have one some of those battles. We are building a program not just a one year run at the Rose Bowl. I'm a little bit concerned about the lack of depth at DB, and it was adequately addressed in this class. Looks like Tedford will need to hit up the JuCo ranks next season for DBs who can come in and play immediately. How are we slim at DB? What guys do we have losing after this year? As far as I know, all we lose is Decoud. Still have Syd, Hagan, Peele, Conte, Campbell, etc. Well, while some programs seem to come and go, the perennials always seem to at least be somewhere in the upper levels. Programs like Ohio State, Michigan, and Florida State come to mind. As do Oklahoma, and Auburn. True, these guys may not be there every year, but these five along with the four I mentioned before seem there more often than not. But your point about staying in-state (or at least in "region") is well taken. I meant to say it's very refreshing to see Cal getting recruits now that we would only fantasize about before. We are now regularly beating the U-Dubs, Oregons, and Fuclas for recruits. I look forward to the time when Cal not only competes for, but signs someone like McKnight on a regular basis away from the $C's, and Texas'. SoCal, agreed. This class is another step in the right direction, if for no other reason than the fact that we've separated from the bottom half of the conference in recruiting. It now feels like SC *pause* CalUCLAOregon *pause* everyone else. Just one quick comment about the DB situation. Mark my words, Syd Thompson, for all the tough times he had last yr, is the next Dion Sanders! He has the speed, hands and a developing vision to be a real shut down corner. You thought Hughes was good? Well he was, but Syd has the speed to beat anyone in the country, aside from say DJ. It's all about how to choose a proper companion who uses your funds in a right way - that is incorporate it in real deals, parts and divides the income with me. Hi! fantastic topic, but will this really work? Hey! I'm at work browsing your blog from my new apple iphone! Just wanted to say I love reading through your blog and look forward to all your posts! Carry on the superb work!